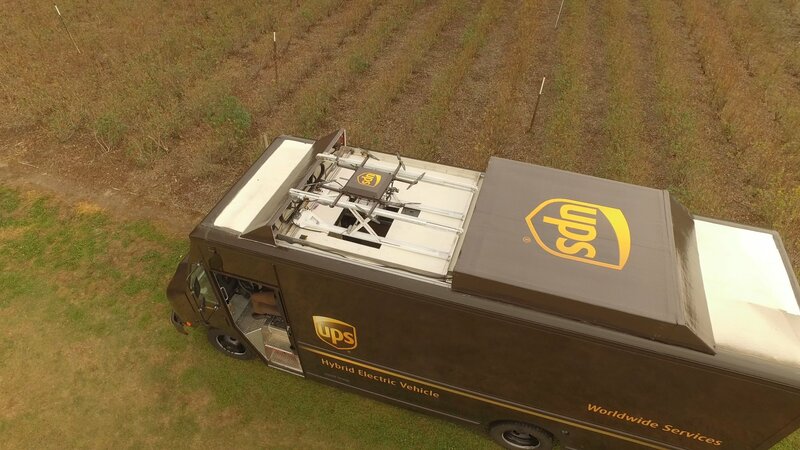 Earlier this week, UPS announced that it has successfully tested a delivery drone that launches from the top of a UPS® package car, autonomously delivers a package to a home and then returns to the vehicle while the delivery driver continues along the route to making deliveries. UPS, like Amazon, is working to reduce delivery times and its growing logistics bill. You can read more about Amazon’s efforts in my Amazon Prime Air Update. The test was conducted on Monday in Lithia, Fla. in partnership with Workhorse Group (NASDAQ: WKHS), an Ohio-based battery-electric truck and drone developer. Workhorse built the drone and the electric UPS package car used in the test. The drone used in Monday’s test was the Workhorse HorseFly™ UAV Delivery system.. It’s an octocopter that’s fully integrated with Workhorse’s line of electric/hybrid delivery trucks. The drone docks on the roof of the delivery truck. A cage suspended beneath the drone, extends through a hatch into the truck. A UPS driver inside loads a package into the cage and presses a button on a touch screen, sending the drone on a preset autonomous route to an address. The battery-powered HorseFly drone recharges while it’s docked. It can carry a package weighing up to 10 pounds. I like UPS’s approach to studying how drone delivery can reduce costs. A reduction of just one mile per driver per day over one year can save UPS up to $50 million. UPS has about 66,000 delivery drivers on the road each day. It’s easy to see how a delivery program like this, at least in rural areas where homes are far apart and drivers have to travel long distances to make a single delivery, has the potential to save UPS a ton of money. A program like this also has environmental benefits. I’m encouraged to see companies like Amazon and UPS working to realize the cost saving potential of UAV’s. I’m especially encouraged to see the both companies refining their approaches into programs that have the potential to be deployed in the field in the near-term future. UPS serves on the FAA’s drone advisory committee. How many times does this have to happen?? 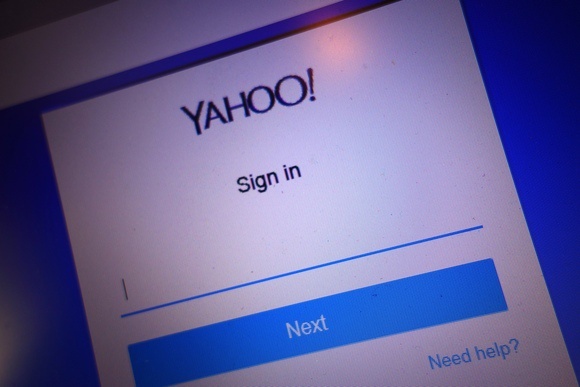 Yahoo’s newly issued warning to users about malicious hacks is related to a third data breach that the company disclosed in December 2016. Both SunTrust and CFRA retained their hold opinion on Yahoo shares, mostly tied to the fact that Verizon will likely still purchase the internet company and has renegotiated the purchase price. Bloomberg reported that the telecommunications company was able to reduce the initial $4.8 billion price by $250 million due to the data breaches. I really think it time to delete that Yahoo account and put the matter to bed. By now, we have all heard about ransomware as it has taken over the cybersecurity scene over the last couple of years. However, we want to make sure that everyone is clear about the difference between cyber ransom and ransomware, as there is a very clear distinction. Cyber ransom and ransomware attacks have been the most popular forms of cyberattacks as of late. The most common form of cyber ransom is through a distributed denial of service (DDoS) attack. In a DDoS attack, hackers flood a business’ site with data requests, overwhelming the site’s legitimate functions. The flooding eventually forces that website to shut down. As far as the ransom is concerned, cybercriminals will threaten to launch an attack on an organization’s site unless the organization pays a ransom fee of a certain Bitcoin amount. Another form of cyber ransom is through corporate extortion which is becoming more and more popular. This type of attack can be carried out in several ways. One approach, which Domino’s in Europe was hit with, is where a cybercriminal sends out a ransom letter threatening businesses with negative online reviews, complaints to the Better Business Bureau, harassing telephone calls, or fraudulent delivery orders. 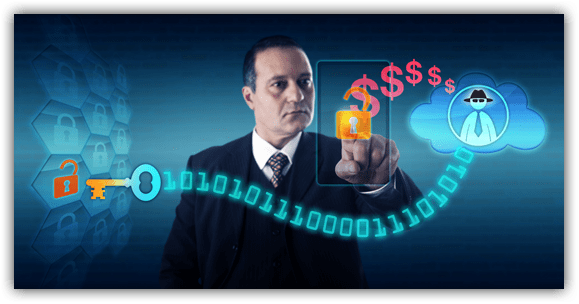 Another variation of corporate extortion is where cybercriminals perform a data breach, where they gain access to a company’s network and gather sensitive data. The data collected is usually information on their clients such as credit cards, social security numbers, email addresses, and login credentials. While this seems like data breaches that we have heard about recently (Yahoo, Adult Friend Finder, and several social media sites), cybercriminals who are involved in corporate extortion are in it for the money. 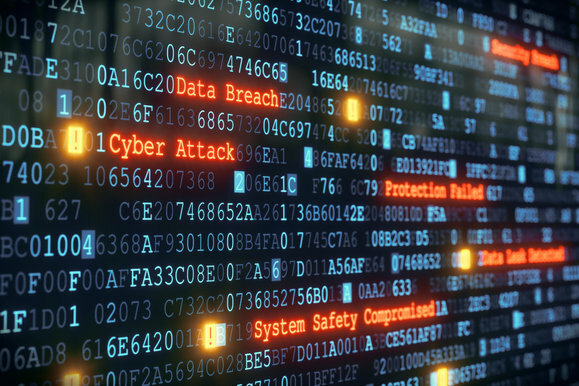 Once cybercriminals have performed the data breach, they will threaten to publicly release the information unless the company pays a set ransom fee. Ransomware is the most common form of cyberattack seen today. 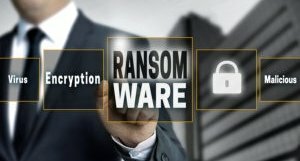 In a ransomware attack, the cybercriminal will infect a machine with malware that encrypts all or some files on a user’s computer. Once the encryption process has completed, a ransom note will appear on the victim’s screen demanding payment in order to receive the decryption key. Payment for the decryption key is usually made in Bitcoins, which are extremely hard to trace back to the hacker. Ransomware is most commonly distributed through phishing campaigns where cybercriminals will send emails embedded with malware. Once the user on the receiving end clicks on a link or opens up an attached file, the malware will begin to download, and the encryption process will begin. Cyber Ransom – Cybercriminals threaten to launch a DDoS attack on an organization’s site unless the organization pays a ransom fee. Ransomware – Cybercriminals infect machines with malware that encrypts all or some files, then demand a ransom fee to receive the decryption key. When put in these terms, cyber ransom and ransomware seem like they wouldn’t be connected at all. However, cybercriminals are becoming more and more sophisticated with their attacks every single day. So, here’s the kicker. Cybercriminals are starting to use the threat of DDoS as ‘smokescreens’ for more wicked attacks, such as ransomware. The hackers will use DDoS attacks to distract the IT department, so they are able to slip under the radar without being detected. While the DDoS attack or the threat of one will only distract IT individuals for a short time, that’s all the time hackers need. While the IT staff scramble to handle the momentary network outages, hackers can use automated scanning or penetration techniques to map a network and install ransomware. To stop these types of attacks, look at some of the new technologies that continuously monitors your network traffic.